To anticipate a cherished desire. To let the mind run; to imagine and envision a wonderful objective. To develop a visionary scheme that is not merely a dream, but a very realistic aim. 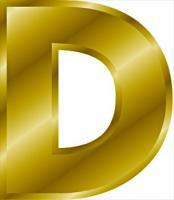 Similar to: Aspire, fantasize, revel, delight, ambition, desire. you will meet with unexpected success. the blueprints of your ultimate achievement. Nothing is as durable as a realistic dream, with a reasonable deadline. The world may change as you pursue your dream, but a realistic dream will not. Changing conditions and responsibilities will not erase it. And the gloomiest naysayer will never dissuade you from pursuing it. Futuristic leaders dare to dream. And they dream big — very big. They are headstrong in purpose and the pursuit of their goals. abandoned his dream of being a flying ace. Bader lost both legs in an aerobatic stunt which went badly wrong. Told he wouldn’t walk again, never mind fly, he mastered artificial limbs, trained to fly again, and re-applied to the RAF. He was accepted, and entered the war as a Squadron Leader. Later shot down over Germany, he was able to bail out of his crashing plane only by removing one of his artificial legs, which was trapped. He escaped his captors, returned to England a war hero. He then trained many more pilots, and finally retired as a much-decorated Group Captain. Don’t let the "dream stealers" cut you off at the knees and take away your dream. They always reject any possibility of things being different or better. Kick any dream stealer off your team. They are a nightmare to have around. Replace dream stealers with a team of "dream weavers" and dream catchers. Encourage them to dream about an ambitious future for your organization to achieve. Then equip them with the tools and training to make it happen. Don’t let temporary setbacks and necessary course-corrections derail you. Never lose sight of your dream. Remain steadfast and unshaken and pursue it constantly. How clear and ambitious is my dream? What is my fondest business ambition? How dream-oriented is our team? What stirs our hearts and emotions? What specific steps can we take today, this week, that will move us closer to our dream? What will happen, once that happens? To alter, become different in essence. To lose one's original nature; to transform. To abandon old ways for more-favorable methods. To change the pace and direction of activity. Similar to: Alter, vary, deviate, substitute, innovate, diversify, shift, veer, turn, reverse, mutate, transition, revolt. Opposites: Continue, hold, remain, stay, fossilize, freeze up. to not know what can’t be done. To change means to make something different and preferable from what exists. To change, you must break out of today’s mythically-limiting and intractable options. Futuristic leaders are the first to initiate change, the first to make a move, to test a new idea. In the face of much derision, Arthur C. Clarke, the space futurist, created the idea of geo-stationary orbit communication satellites. Other than our planet and its natural resources, everything in this world stems from a creative idea that was then acted upon. Creativity is all about novel options, about thinking afresh, and then turning the idea into reality. Futuristic leaders let go of outmoded certainties. They shake their kaleidoscopes and re-vision what’s possible. They take things apart and re-assemble them in a future-relevant way. To change, you don’t re-invent the wheel, but you may well have to re-invent the vehicle. And never fear to rock the boat. Change doesn’t happen until after the boat rocks. Rock it! To change the boat’s direction, everybody must row in unison towards the future. If not, replace personnel and managers with those who don’t obstruct but who will initiate futuristic change. Then give them a humongous challenge that blows their minds and turns on their creative afterburners. ▪ How change-oriented am I? ▪ Which personal habit can I change today? ▪ How change-oriented is our organization? ▪ What will happen if things don’t change? ▪ What humongous change can we make this year? ▪ What will happen once that happens? To be convinced, approaching certainty — upon evidence of reasons, arguments, and deductions — that a true state of affairs exists or will occur in the future, and will prove beneficial. Similar to: Convinced, certain, sure. and proceed to translate it into action. I always did it for half-an-hour a day. Believe deep down, and it will come true. People who hold strong beliefs are more likely to act on them and to make them happen. When you believe you can do it, your creative mind will show you how. None of us know what we’re truly capable of, especially when others don’t believe something is possible. Roger Bannister believed he could run a mile in less than four minutes. While conventional wisdom said it couldn’t be done, as a university athlete and medical doctor, he believed it could. He practiced repeatedly with pace-making team¬mates — timed lap after timed lap, trial race after trial race — and then broke the 4-minute barrier. Within a few months, several other athletes also achieved what Bannister first proved possible. tough and likely impossible, then it will be. easy, and highly possible, then it will be. To do the impossible, believe that you can. Say to yourself, “I’m positive I can,” and you will then see how to do it. Repeat your belief over and over until it becomes embedded and alters how you think and behave. Then rehearse how you will bring it to fruition. Practice it and pace yourself for the final attempt. Each attempt will reinforce your belief. Do some experimenting. Undertake pilot projects until you work all the “bugs” out and get the process running smoothly. Keep doing that until you get it right. Prove the skeptics wrong. Then roll the changes out, organization wide. Just go out and create a big break-through success. □ How clear am I about what I believe? □ How firmly do I believe? □ How well does our organization believe? □ What will it be like when we do believe it? To bring to a perfected future state. To carry to a final close. To accomplish or perform a feat, exploit, or enterprise. To obtain or gain, as the result of exertion. To finish. To win. Similar to: Accomplish, fulfill, complete, execute, perform, realize, obtain. Opposites: Blow it, choke, fail, fall short, lose, miss, quit. it is to be achieved. The future belongs to those who get there first — to those who ACHIEVE. The word “achieve” comes from the French “achever” (to finish) and “chef” (chief). In short, chiefs finish things. Each of us has an innate need to achieve, but true leaders achieve their goals before others — and finish what they start. Raised on a poor farm by her grandmother, who taught her to read at age 3, Oprah Winfrey was the first African-American woman billionaire. The ability to read launched her career: she began reciting readings at church, and her books revealed new life options. Watching her grandmother boiling clothes one day (they had no washing machine) she had a vision of the need to change her life. 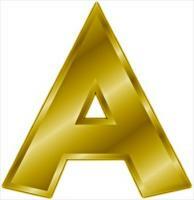 Challenged by her father to be an “A” student, she became an honors grad. She also became a radio announcer while still in high school and a TV anchor while still attending university. By 1985, at age 31, she had the Oprah Show with a 20+ million world audience, her own production company Harpo, an Oscar nomination in movies, and was planning her book club and magazine. Oprah changed her life and, in turn, views her calling as helping other people change their lives. She says that only by accepting your life can you change it, and that success is about reaching the point where you are comfortable with yourself and your role in life. In 1998, Time magazine named her one of the most influential people of the century. In 2001, she was chosen to co-host the memorial service at Yankee Stadium for the 9/11 victims. In 2004, Wharton business school named her one of the most influential business people of the last 25 years. Her production company generates $314 million in annual revenues. These and many other achievements are a story of steely determination to change her lot in life, an unswerving focus, and a selfless approach to helping others to do likewise. To achieve your goals, force yourself out of your comfort zone, realistically access your present situation and future possibilities, and you will achieve them. Set your priority and go for it. □ How achievement-oriented am I? □ How about our organization? □ What do we feel most passionate about? □ What’s the #1 priority for us to achieve? □ What will we look like when it’s done? You can only be ahead of it. You can’t manage the past. it’s over and done with. You can only change a prior decision by making a new decision sometime from now. You can’t manage the present. It is a mere nano­second of time as we constantly move from the past to the future. You can only manage “what hasn’t happened yet” — the future. Leadership is about steering your organization into that ever-new future. Of course, otherwise-logical people protest that you logically can’t predict the future. They say the future can’t be known. That’s because the future defies purely logical thinking. Instead, it comes logically to the intuitive rather than the linear mind. You can “see” the future. How Can You “See” the Future? The “unknown” future can become “known” quite clearly by whole-brained futuristic leaders. They see its wholeness — the big picture — and how it fits together and how trends interact. Futuristic leaders literally “see” the future and then “map” how to get there. They have a clear idea of what the future will be like. It’s not magic or crystal-ball gazing; they have a genuine feel for relevant trends and their outcome. True leaders are futurists. Futurists constantly try to assemble a jigsaw puzzle of the future. You never have all the pieces, so the picture is never complete. In fact, each morning you’ll find some pieces (that you put in the jigsaw as recently as last night) are in the wrong place and you need to re-think things. Futuristic leaders take minute-to-minute decisions based on that iterative jigsaw puzzle, which they keep at the forefront of their minds. Their never-completed jigsaw puzzle is a constantly changing focus board. No, that is not a contradiction. Christopher Columbus found the New World by using a very speculative map. Their evolving jigsaw puzzle helps futuristic leaders navigate the uncharted territory of their organization’s future. Their jigsaw puzzle is their “map” to their “new world” — a future which they see most vividly, and which they set out to reach as expeditiously as possible. In the end, it’s not so much what will happen but what you do about it. As noted in an earlier post, futuristic leaders are doers; they achieve things. They are verbs. Futuristic leaders don’t tip-toe into the future; they stride boldly forward, guided by trends. In fact, they always plant one foot in the future. They regularly stand in the future, take a good look around, scout the best options, and feel comfortable there. They virtually live there. Futuristic leaders traverse a past-present-future time continuum, constantly shifting perspective along that continuum. They surf across the sweep of time, creating change and making strategic decisions about how best to navigate their organization’s optimal future. So what’s going on in your organization’s future? Based on where you are now, what does your future look like? What will your organization do about it? How can you make things different? What is your “map” to your new world? This blog will prompt many such questions. and I guarantee you’ll leave a true legacy of futuristic leadership. Futuristic leaders ACHIEVE results because they truly BELIEVE a different future is possible. They CHANGE their own and their organization’s behavior, habits, and culture, in order to obtain their collective DREAM. Futuristic leaders fully EXPECT to reach their goal — and also fully “expect the unexpected” along the way — because they unswervingly FOCUS on that goal. Aware that reaching the future requires that they and their organizations GROW — both mentally and spiritually — futuristic leaders HEAR things: they listen intently for clues and pieces of vital information that will guide them in that growth. Futuristic leaders vividly IMAGINE what the future will be like, what needs to change to get there, and how the charted course might need to vary along the route. They JUSTIFY their mission, not only based on profitable returns, but in the proper ethics and values that will bring it to fruition. Futuristic leaders KNOW both what they know and what they don’t know, and what more they and their teams will still need to know in the future. They constantly LEARN, day by day, decision by decision, as they move forward. Futuristic leaders MOTIVATE themselves, and inspire those around them to do the same, to adventurously NAVIGATE previously uncharted territory. They ORGANIZE and optimize every available capacity and resource to help them PERSEVERE until every part of the mission is accomplished. Futuristic leaders always QUESTION their advisors, their information, and themselves. Then they can best RESPOND to challenges and opportunities in ways that STRATEGIZE the most responsible and best possible future outcomes. 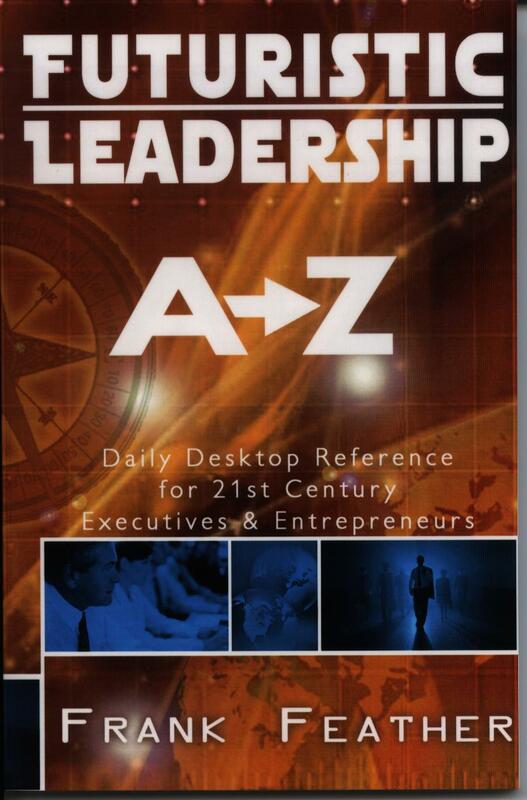 Futuristic leaders TEACH everything they know to the highest-qualified teams of individuals. They UPLIFT them to VISUALIZE and drive towards their collective future. Futuristic leaders also XEROGRAPH themselves: they “clone” or duplicate their own abilities and processes in others, to ensure ongoing growth and continuity through yet another generation of futuristic leaders. Finally, futuristic leaders repeatedly YIELD consistent and spectacular results, and ZOOM their organizations speedily to ever-succeeding peaks of success. There are obvious interconnections between these 26 verbs. — and then making it happen in the most expeditious and responsible way. modern and future issues of leadership and corporate governance. 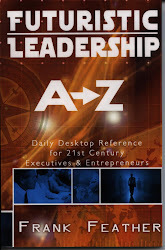 Explores and further develops key dimensions of foresight leadership, building on the foundation of Frank Feather's book Futuristic Leadership A-Z. Xee.Me Comprehensive Profile of ALL my social media sites, websites, LinkedIn groups, and blogs.